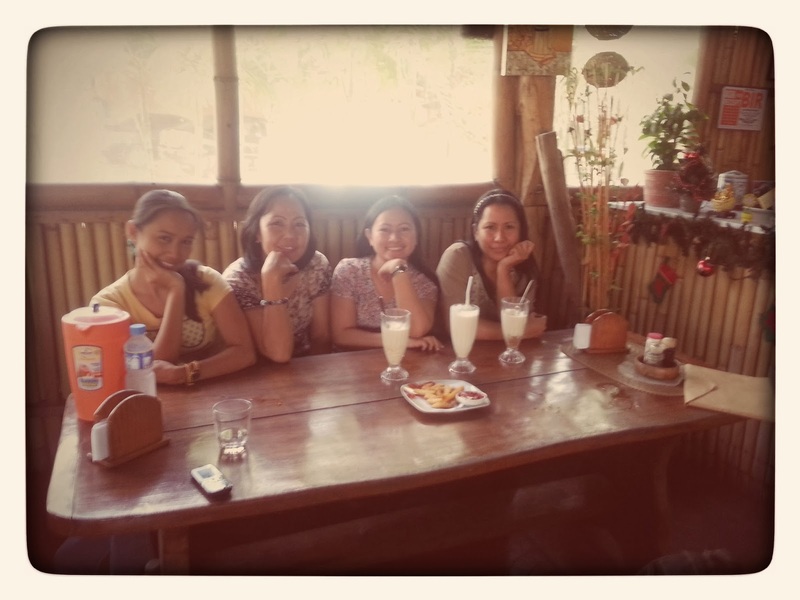 The Letters In November found another place to enjoy great food and lotsa chit-chat with friends in San Fernando! 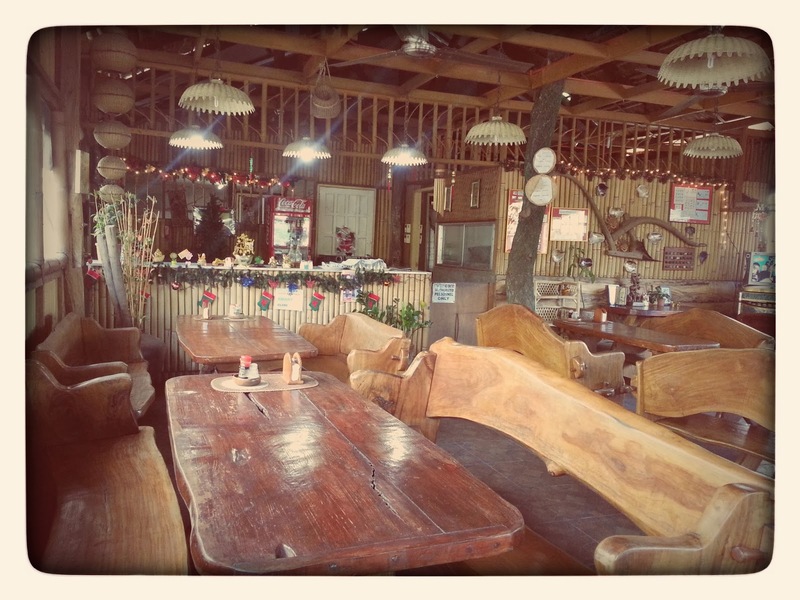 What I love about the place is its bahay-kubo interior design. 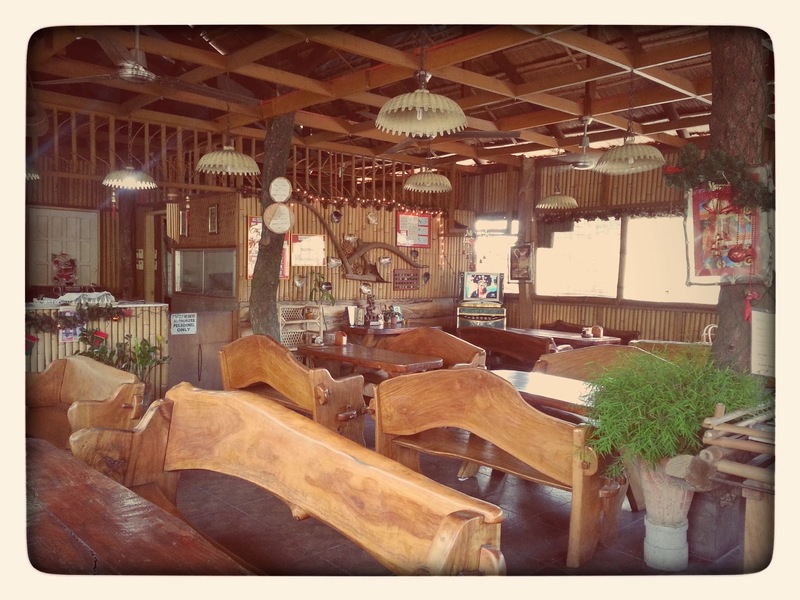 Like any other local restaurant with the same concept it gives you that certain nostalgic feeling. 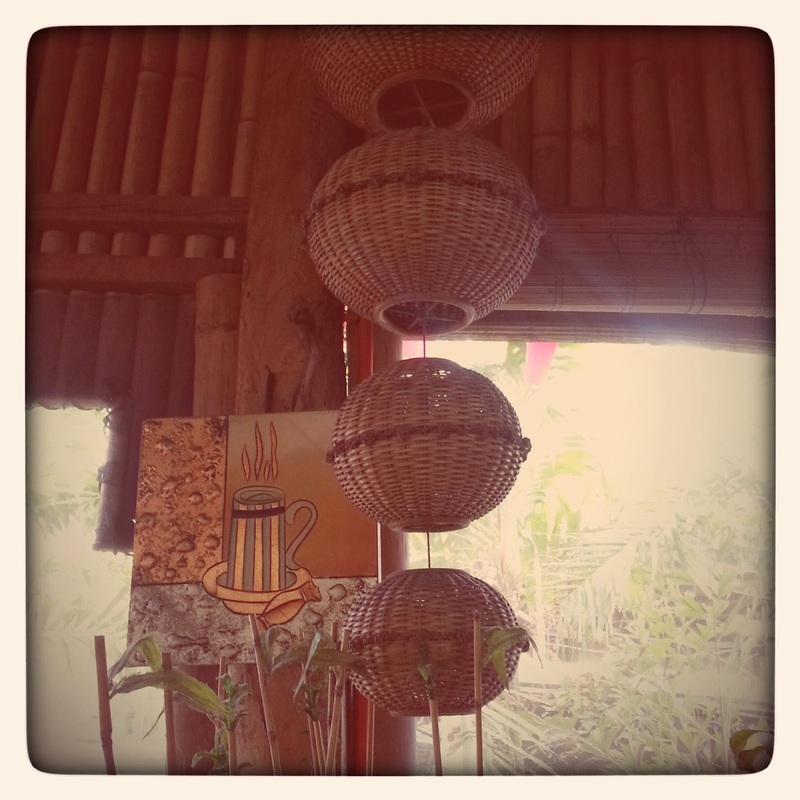 Bamboo and other wooden craft are all over the place. 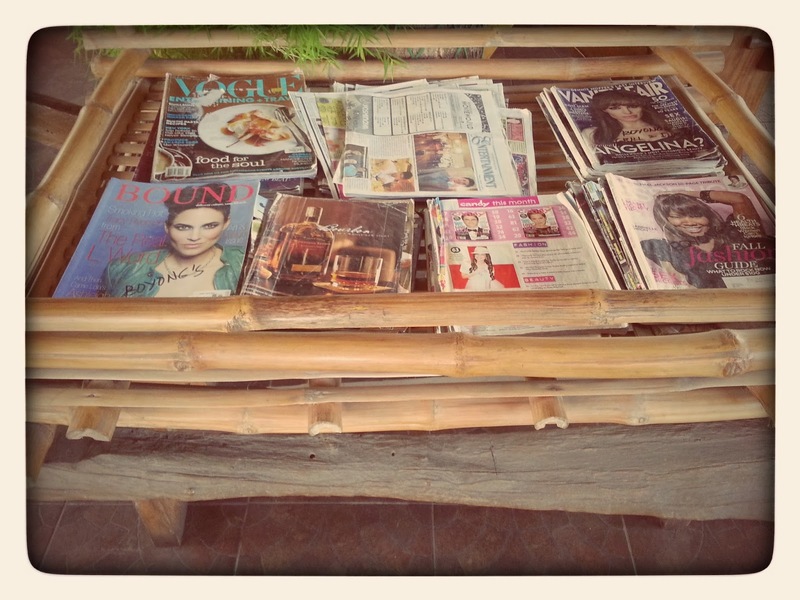 Those magazines on the left are artistically contained in what used to be a Carabao pulled cart in the farm.Ingenious I'd say. Now what to order? 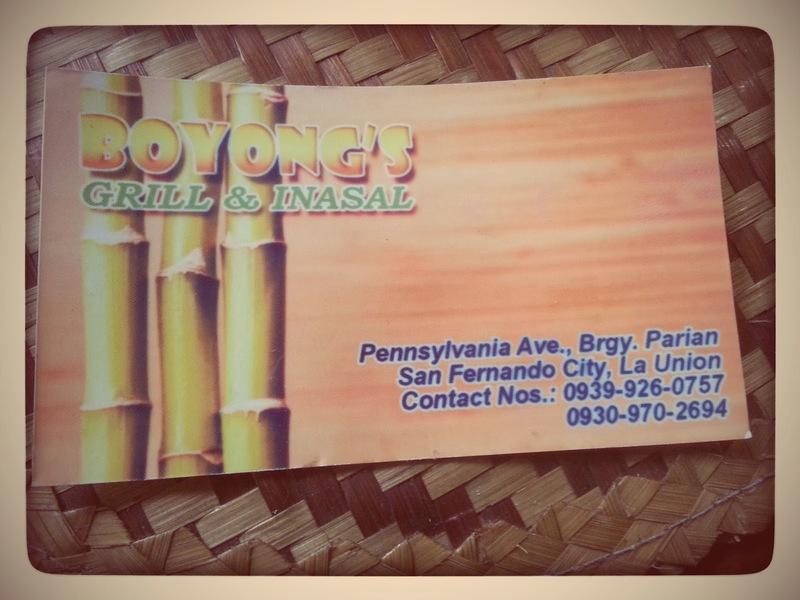 I heard their SPARE RIBS INASAL is a must try. 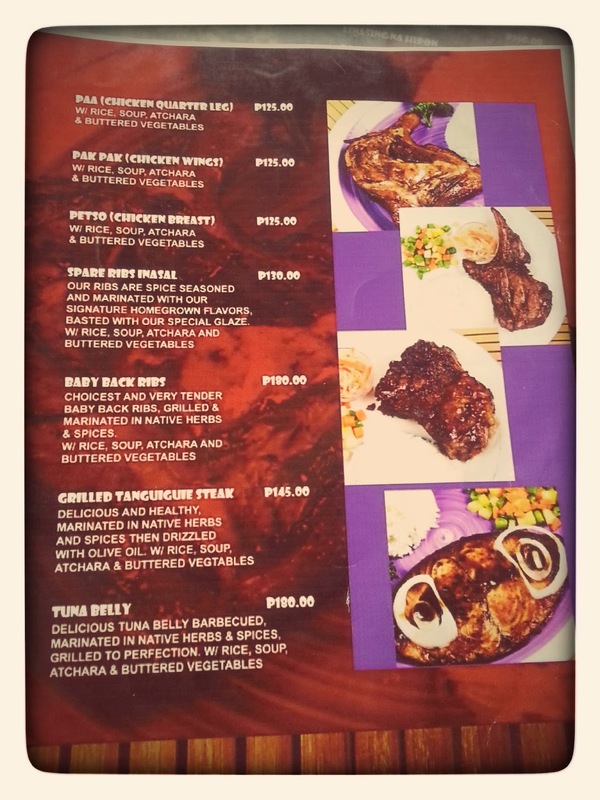 Inasal is some sort of a barbecue dish. One of my friends would love to try their Tuna belly next time which is barbecued and marinated in native herbs and spices. 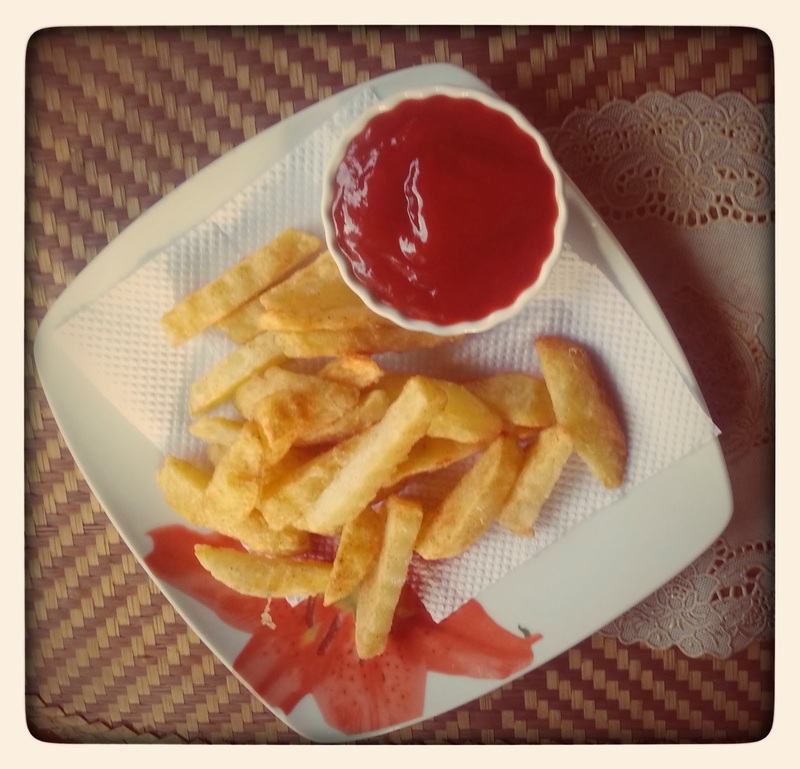 Their seafood platters come in huge servings and delectable presentation. My friends and I still full from having had lunch didn't order something heavy though. 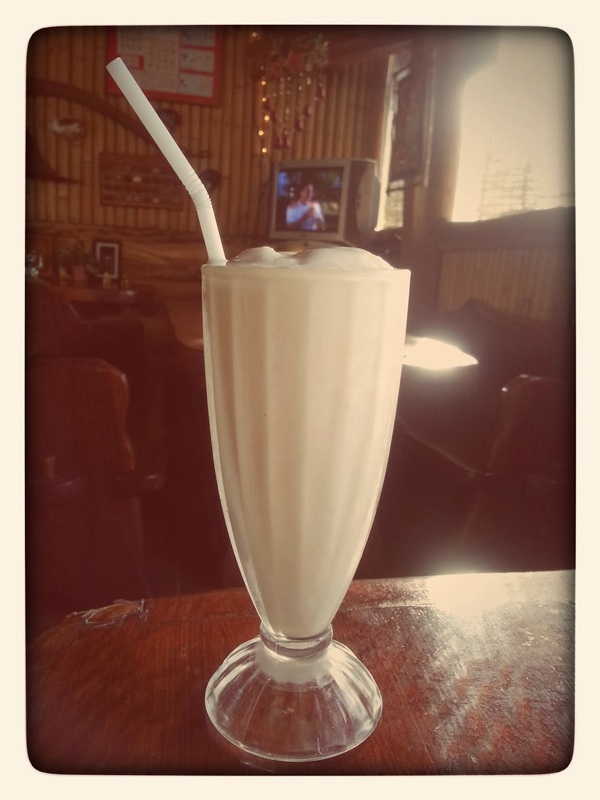 and tried out their famous "Guyabano Shake"! hmmmmm it was everything we heard it to be!- creamy and rich with Guyabano's nutrient properties! See those happy contented smiles? 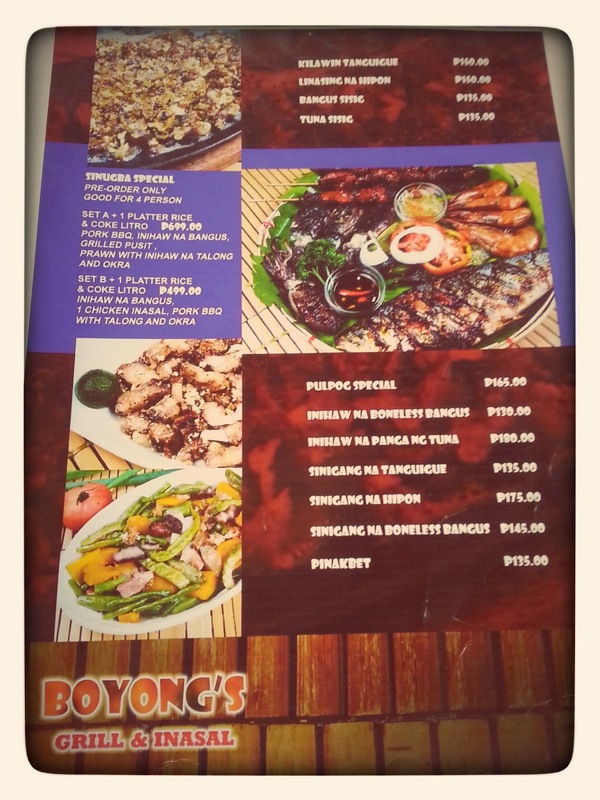 When you are on your way to Thunderbird Resorts, you are sure to pass by Boyong's Grill. They are at the left side corner of the road just after the Tomb of Unknown Soldiers Monument which is hard to miss. There's a carwash/service center adjacent to it where you could leave your vehicle for some pampering while you indulge on good food. ~This isn't a sponsored post, just another happy customer's honest opinion. Remember always that we do not live by bread alone and that sharing makes life worthwhile! Thanks for visiting my A Thirst For All Saints..I hope you have enjoyed it! wow kapitbahay ko lang to tita! 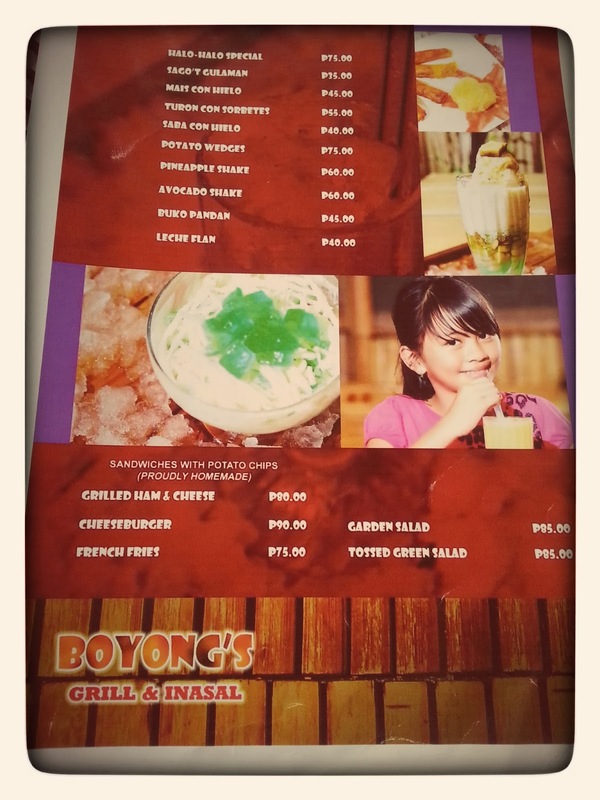 i'll check it out pag-uwi ko... by the way saan may masarap na pomelo salad sa La Union?